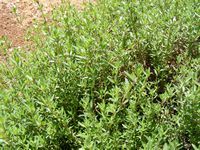 Attractive, fragrant low growing evergreen creeper with soft green foliage and lavender pink flowers that forms a slow spreading mat. Requires a light, well-drained preferably calcareous soil in a sunny position. Succeeds in dry soils, tolerating drought once it is established. Grows well between stepping stones and on paths - can tolerate light treading. Thymes dislike wet conditions, especially in the winter. A layer of gravel on the soil around them will help protect the foliage from wet soils. Leaves - use raw in salads or add as a flavoring to cooked foods. Retains its flavor well in long slow cooking. An aromatic tea is made from the leaves and/or dried flowers. Can be used fresh at any time of the year, or it can be harvested as it comes into flower to dry for later use. 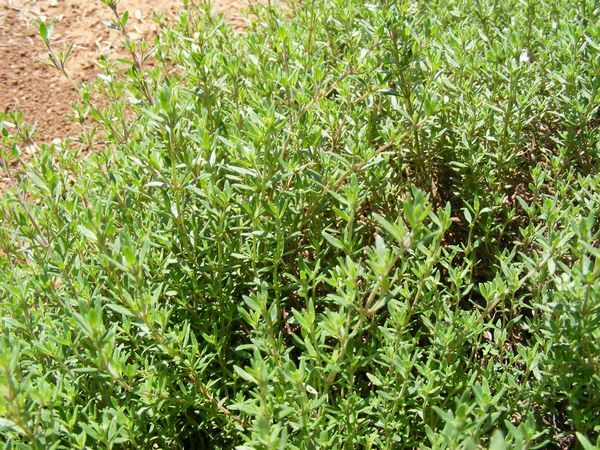 The leaves are anthelmintic, antiseptic, antispasmodic, carminative, diaphoretic, disinfectant, expectorant, sedative and tonic. The dried flowers are used to repel moths from clothing.